All the best bonuses, contests and special services of FBS! It adapts perfectly to those who are just beginning their way to success in Forex. FBS is the only Forex broker that offers a leverage of 1: 3000. 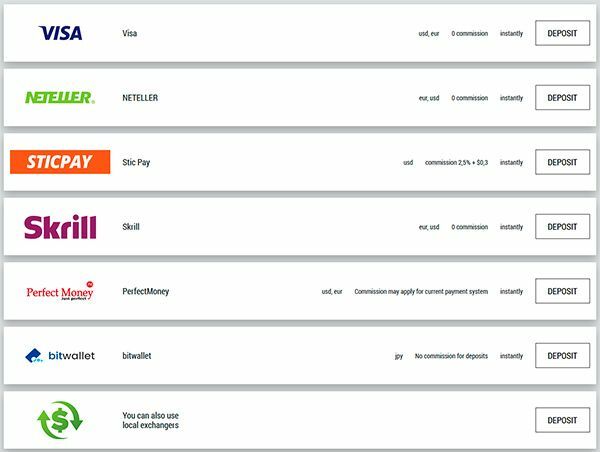 Choose the most convenient payment method! Forex is the world’s largest and most liquid market, processing enormous amounts of money a day. With large amounts of movement comes the ability to profit, thus creating the Forex markets. For quite some time, these markets have been unavailable to the retail trader and now, there are products that allow the average investor and trader to gain exposure to the Forex market. There are several brokers on the market that enable retail traders to access the market and in this article we’ll be reviewing FBS Forex. How Can You Make a Deposit and Withdraw? How FBS Copy Trade Works? Is FBS a Good FX Broker for Thai Traders? FBS Forex is an online Forex broker that allows clients to trade and gain exposure to the Forex market. With their professional landing page, they clearly show how to open an account and the various accounts you can choose from. Furthermore, they go on to share benefits of using them as a broker. On their about us page, it states “FBS is an international broker with more than 190 countries of presence”. Right off the bat, FBS appears to be a solid company but that’s to be determined as we progress further in our in depth review. Reliability with a broker is of most importance because if you are trying to build wealth, you want to know your money is safe and you’ll have access to your funds in a timely manner. Reliability may be slightly different from person to person, but in general you want the broker to be regulated and have detailed information on the keeping of finances, as well as client services. As mentioned, FBS Forex has reached over 190 countries and states they have over 12 million traders. A way to potentially gain an understanding of reliability is to look at the achievements. The list of achievements for FBS includes Best Customer Service Broker Asia 2016, Most Transparent Forex Broker 2018 and Best Investor Education 2017. One item that doesn’t seem to be on their website are any regulatory licenses. While this isn’t’ necessarily an automatic pass, it is something to keep in mind if you choose to move forward with this particular broker. Bonuses and promotions are an effective way to attract new traders as they can potentially earn additional money if certain criteria are met. While the $50 bonus is no longer in effect, it gave you the potential to earn an additional $50 on your deposit. You would fill out the appropriate form, request the bonus and then begin trading with the money earned from the bonus. Instead of the $50 bonus, FBS now offers their clients the potential to earn $100. Another incentive for the clients of FBS is their cash back program. The cash back is capped at $15 per lot and the promotion period is unlimited. While the initial set up page appears to be no strings attached, you’ll want to look at the full terms and conditions before accepting. At the time of this article, the full list of terms and conditions were not accessible. One of the more popular bonuses on the market today is a 100% deposit bonus. On the bonus page, it simply states you fund your account, get the bonus and continue trading. However, the same situation with the cash back bonus, the specific terms and conditions were unavailable. Before you enter into one of these bonus structures, you’ll want to ensure there are no restrictions on withdrawing your funds, as some make you keep a percentage of your deposit in the account until certain criteria are met. Before moving forward with leverage, it is important to understand that a leveraged account is extremely risky and you may lose more than you initial investment. To open this feature or bonus, you’ll need to open a Standard or Zero Spread account. From there, you can deposit $10 and trade as if you have $30,000. The promotional period is unlimited and is under the category of trading feature. Now that you have an understanding of the value you can earn beyond your initial investment, it’s time to understand the various account types. The first account up for review is the Standard Account, which states it’s for “experienced market players making their way to Forex heights”. This account requires an initial deposit of $100. From there, spreads are from 0.5 pips, order volume is 0.01 – 500 lots and you can leverage as high as 1:3000. The next option is the FBS Cent Account, which “perfectly suits those who are just starting on their way to success on Forex”. This account requires only $1 to open and you’ll have spreads from 1 pip. Order volume is 0.01 – 1000 cent lots and you can leverage up to 1:1000. Even with the low initial deposit amount, keep in mind with leverage you can have more buying power. Next is the Micro Account, which is “ideal for those who want to calculate their profit precisely”. 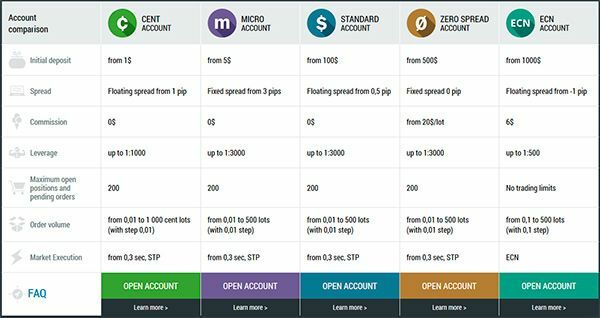 The initial deposit for a Micro Account is $5 and you’ll have a fixed spread from 3 pips. Order volume is 0.01 – 500 lots and you have the ability to leverage up to 1:3000. Again, with leverage that high you can quickly put your account into negative territory. “Designed for those who prefer trading at the fastest speed”, the Zero Account may be for you. With an initial deposit of $500, you’ll receive a fixed 0 pip spread, order volume of 0.01 – 500 lots and leverage up to 1:3000. The nice spread can make this account worthwhile if you have enough money. The ECN Account is ‘“for those who want to feel the full power of trading with ECN technologies”. Requirements include a $1,000 deposit and you’ll have spreads from -1 pip. Order volumes are from 0.1 – 500 lots and you may leverage up to 1:500. 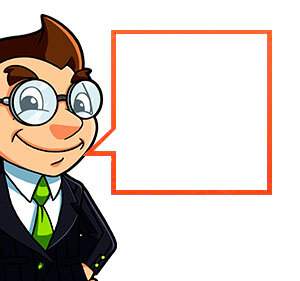 If you are an investor, you have the ability to join the CopyTrade for Investors account. Should you prove profitable, you have the potential to earn money from allowing others to copy your trades. By using this account, you can have access to detailed trader information and the ability to create a unique portfolio. Similar to the CopyTrade for Investors, you can log on to your existing account and set parameters on how you want to be copied. The idea here is if you are already a profitable trader, why not let others have the ability to profit with you while earning a commission. You’ll need to download an app and it is only compatible with MT4 Standard and MT4 Micro. To make a deposit or withdraw, take a look at their menu of options regarding accounts you can deposit from. While there are many, each of them has their own guideline as to when funds will be available. This is important because if you’ll be moving money with this account, you’ll want to ensure that wait times are within your budget and investment plan. Withdraw process works similar in that there are a variety of options. Ensure you look at the various wait times and costs associated with each as you’ll need to plan for that when it comes time to move or adjust funds. As you might have guessed, one of the main assets you have access to is Forex products. FBS offers many different pairs and their details are listed under the product page of their website. From there, you can look at the typical spread, swap long, swap short and stop level. These are important data points when considering various Forex pairs. You can also trade metals on FBS, with Palladium, Platinum and XAGUSD to name a few. Similar to the data points of Forex, you can search their product page for typical spreads, swap long, swap short and stop levels. Another popular product that many brokers offer are CFD’s, which allow you to have exposure to the underlying asset without the requirement of owning the underlying asset. A few of the markets covered with a CFD include BRN, DAX30 and WTI. There are derivative products and are backed only by the credit worthiness of the financial institution offering the product. If you find yourself wanting to venture into cryptocurrencies then FBS has that for you as well. Bitcoin, Dash and Ethereum are a few of the offerings and this will allow you gain exposure to a quickly growing market. The product page offers the various data points on these assets such as spread and stop levels. This works similar if you were picking a sports team to follow. If you want to follow a trader, you’ll set up you account and allow it to follow who you so choose. On the other hand, if you are wanting to be the trader that people follow, you’ll set up the parameters within you account and go from there. You’ll earn commission on those that follow you. The bonuses are realy, but you must ensure you are following the details of the bonus. Many of the bonuses require certain criteria be met before profits are withdrawn. Ensure you have a complete understanding of the bonus before you accept a bonus. FBS seems like a solid platform, but the website is lacking in regulator documentation. While they have a documents page containing FBS Agreements and Risk Warnings, there is nothing on regulatory credentials. While that doesn’t make FBS a fraud by any means, it simply means you should do a little more digging. From what their website contains the answer is no. However, you may want to inquire to confirm that is the case. Overall, it appears that FBS is a solid Forex broker from a quick glance, however they do seem to have a few shortfalls compared to others. See if you can request a demo account to test drive the broker and see if it’s a right fit for you. From there, inquire on regulatory statuses to ensure you money and personal information is safe. Lastly, the extremely high leverage is suspect, considering it can go as high as 1:3000. Ensure you complete your own due diligence before opening an account, this will ensure FBS is the right fit for you.